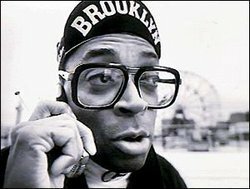 January 28, 2007 -- FORTY-SIX games in, and needing but five more wins in the final 37 to surpass Larry Brown's one-and-done construction blight, are the Knicks showing enough collective and individual improvement to stop James Dolan from scheduling a season-ending meeting with Isiah Thomas at Jeff Van Gundy's celebrated hot dog stand? In other words, is Thomas on course toward saving his job? That's what the Post's Sunday editor (and a lot of you) is wondering? Though I don't do anything halfway, that's my mid-term assignment. Then again, I guess if anyone can pretend to know what goes on in Dolan's dustbin of a brain, if anyone can come close to imagining the standards he's using to measure the progress of the Knicks/Thomas, my boss has come to the right yutz. Readers often tell me they're convinced I write my column SOON after reading Dolan's mind. Where do I start? Well, first of all, I'm not basing my conclusion on Thomas' incessant blither and blather; enough destructive criticism has been written pertaining to that subject matter. I'm strictly Judging Amy, er, Isiah, by what has taken place between the lines. Next, it's not fair to compare this season's Knicks to last season's Debacles. Brown set the Limbo Bar so low the leftovers would've won significantly more games if they were coach-less. Frequently, that's exactly how they appear. Of course, that's only if you're evaluating the Knicks' defensive negligence, even now that they've played as a unit half a season, if you choose not to count last year. There's also Thomas' suspect starting lineups; what must David Lee do to get promoted? His substitution patterns. Why wait eight minutes into the first quarter to get your most consistent player into the game? And why wasn't Malik Rose inserted for Eddy Curry in the final eight seconds against the Nets when the situation screamed for someone who knows how to box out? His noticeable dearth of play-calling at the end of up-for-grab games; if Jamal Crawford can't create a basket, it ain't originating in Thomas' cranium. His failure to conserve timeouts to prepare for a legit last-gasp shot has cost the team twice. Despite all of the above, for the most part (today's operative theme) I like what I've seen over the last 20 or so games. So do the fans. For the most part, how can you not be pleased with road victories against the Nuggets, the Cavaliers and the Pacers? How can you not be impressed by their home wins against the Pistons and the Bulls? How can you not applaud the mental toughness they're exhibiting? How can you not appreciate that the team refuses to quit when down, against superior comp, on the road? Investing all-out effort and proper prior planning should be a given in any profession, not just sports. Still, how can you not value how hard the Knicks are trying in light of their spinelessness last season? Clearly, Thomas the team president has provided Thomas the coach with more to work with than given credit. And you wonder why Thomas got so peeved at Brown for squeezing so little out of his roundup of extravagantly paid mercenaries! Thomas' most-controversial free agent/trade additions-Curry, Stephon Marbury, Crawford, Quentin Richardson-have advanced and become recognized as formidable forces. Granted, Jerome James and Jared Jeffries, two straight mid-level $30 million-per signings, so far are smash busts. At the same time, Lee, Channing Frye, Renaldo Balkman, and, to a lesser degree Nate Robinson and Mardy Collins, are infinitely better draft choices than originally believed ... though Frye's fragility, last season's injury, Thomas' system, whatever, has halted his progress. As a whole, the Knicks' development, body language, esprit de corps and overall attitude unmistakably are on the rise. As far as I know, there have been no insurrections, only the barest indication of dissension, and a mini-amount of finger-pointing, mostly by Thomas. As a rule, coaches tend to be insecure. Having a blindfold with his name already inscribed on it actually has greatly subdued Thomas from disparaging and faulting his players or distancing himself from horrific losses as regularly as he did in Indiana. After the Knicks' submission to the Heat in Miami, he questioned their manhood. Wrong! Showing up each night ready to play hard is not about being a man; it's about personal pride. Since beginning the season with one win in their first eight Garden games, we've witnessed a sizeable upgrade in that pride. Again, for the most part, they're defending their home turf. Now they're 11-13. Since the Nuggets fight, a loss, they're 10-9, a giant step toward Thomas staying off the NBA unemployment line. Certainly Curry's assertiveness in the occupied area is a primary factor. But nobody has shown more personal and professional pride, nobody has come back further in the hearts, minds and throats of the fans than Marbury ... balling better of late than in the last five years and digging in on defense better than ever. In the first 25 games, Marbury put up a single 20-point-or-more game, 22 in a loss against Houston. Since then he's accounted for nine 20-or-more explosions, exceeding 30 once and 40 another time. Don't forget to compute the fact an injury restricted his time to almost nothing in Miami's mauling and required him to take off the Suns' loss. It's also worth noting that once Crawford established he couldn't miss Friday against the Heat (16 straight, degree of difficulty, deranged), Marbury submerged his ego (nine points) and assisted (13) his teammate to an otherworldly 52-point plateau. He's gone from being everyone's favorite target to talk-show host. Marbury's maturity metamorphous symbolizes the Knicks' turnaround. Considering he's Thomas' pet project, that alone is enough to earn Isiah a passing mid-term grade. Afterthought, Part I: Apparently Thomas does not have Dolan's permission to make a trade. Nobody has fabricated or breathed so much as a rumor. What was Glen Grunwald imported from Canada to do if not to at least talk to teams about trades? If you're a Knicks fan it's a concern that the team isn't competing in that game. Obviously, Thomas has been told he must play the hand he dealt himself. Afterthought, Part II: A look at the standings entering the weekend finds the Knicks residing in 10th place in the East, and a look across their ledger finds 'em mediocre in just one category, 5-5 over the last 10. They're seven under overall, two under at home, five under on the road, four under in the conference and two under within the Atlantic Railyards. Meaning, they're worth a second look, but not worthy of the second season.